Interested in a DePaul MBA or a specialized MS degree? Attend the Kellstadt Power Hour to learn more. The Kellstadt Power Hour is a casual information session where you will meet faculty representatives and receive information on admission, scholarships and financial assistance. You can ask questions, meet student ambassadors and chat with career development representatives to find out about some of our alumni’s most recent successes. The Kellstadt Power Hour has helped many current students decide that DePaul was the place for them. 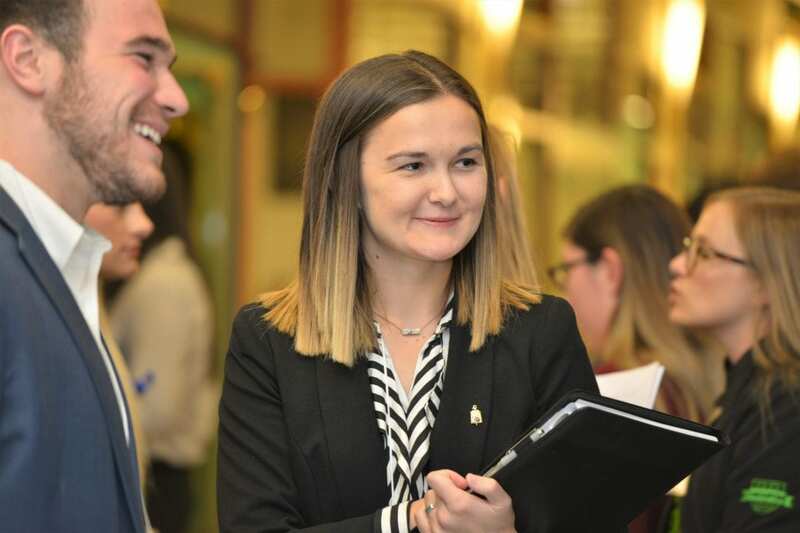 Our next power hour is Wednesday, Oct. 24 at 6 p.m.
Jarrett McGuigan is a part-time DePaul MBA student (class of 2019) and works as a business analyst at the Make-A-Wish® Foundation. Ari Carter is a full-time DePaul MBA student (class of 2020) with a concentration in finance.